Soon, this will become useful. The truck goes in soon to have the bedliner and camper shell put on, which means the bed will become useful. 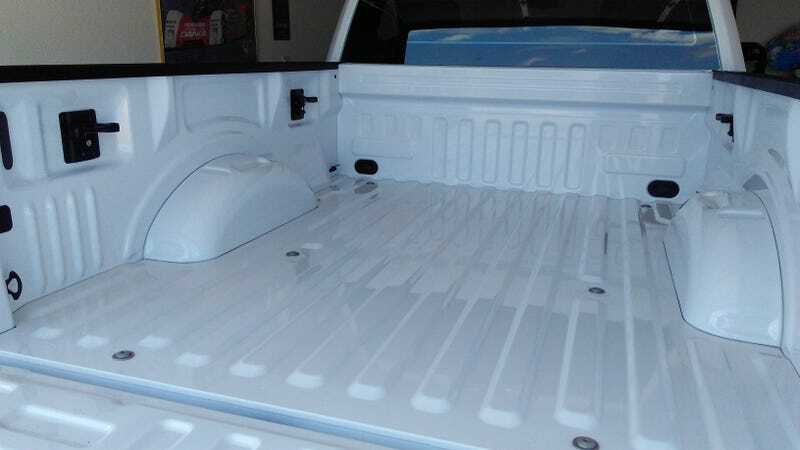 For me, truck beds are usually only useful once they are a place where things like gear for the racetrack doesn’t fly out at 80mph, doesn’t get wet when it rains and is slightly less likely to grow legs and walk away in a hotel parking lot. To commemorate the occasional, I clayed, waxed and detailed the truck for the second time. I also figure the paint on the shell will be not more than a week or two old, so it can wait and be fully cured by time the rest of the truck is ready for another wax in a couple of months. It cleans up pretty well.